Tanners, Manufacturers & Exporters of Leather, Textile & Denim Apparel & Gloves. We are striving hard to be put amongst the top companies supplying leather, motorcycle and fashion garments, gloves and allied apparel to the world and it shows when we were awarded The Best Exporter Award for three consecutive years. We are committed to provide complete customer satisfaction by providing top quality products, innovation, efficiency, reliability and related services at very reasonable prices. We bring together the skills, knowledge and passion and rest is easy- A SATISFIED CUSTOMER. Custom fit for men and ladies. Feature your company or sponsor your logos and cutomise your new suit with the pattern and design you desire. Its not just about work at JMS Tradewell Int'l, but helping people get a better quality of life and in doing so helping us build a better stronger business. JMS Tradewell International (Pvt) Limited manufactures a range of Hi-Viz products and Thermal accessories for safety and ensures the health. With our products can keep the safety regulations in toe by branding the Hi-Viz with your company logo. 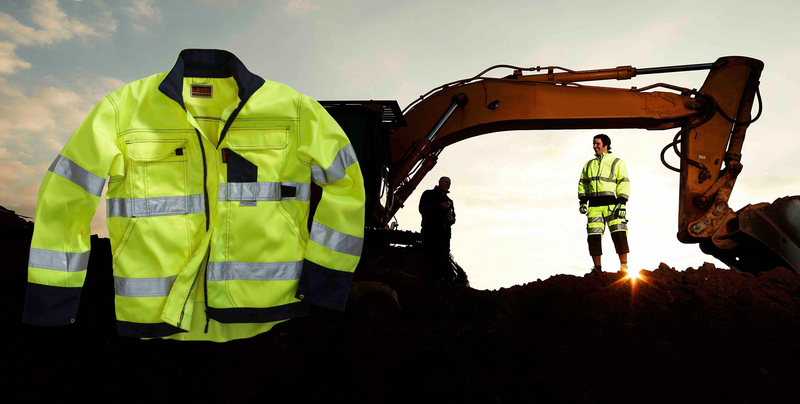 To our customers we offer Hi-Viz Jackets, Hi-Viz Vests, Hi-Viz T-Shirts, Hi-Viz Rain Covers, Belts and Thermals.